The BMW M Performance Steering Wheel adds a race-inspired style to the interior of the F30 BMW 3-series. If you are modifying the exterior of the F30 BMW 3-series for a more aggressive look, you need to get the BMW M Performance Steering Wheel for F30 BMW to match the aggressive styling on the inside of the car. This steering wheel from BMW is wrapped in Alcantara material to enhance your grip on the steering wheel during spirited and track driving. 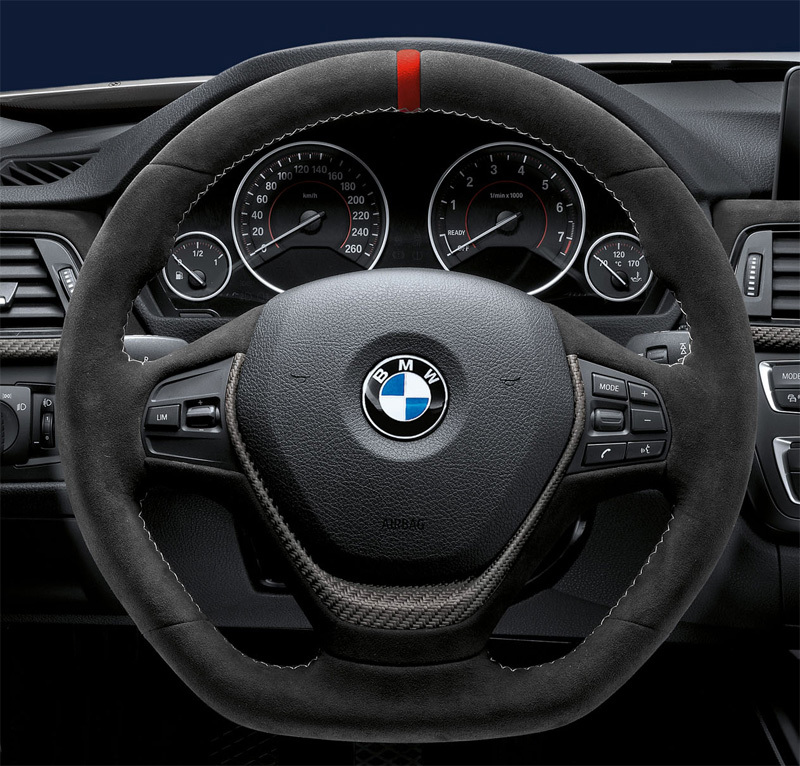 The BMW M Performance Steering Wheel is designed with a flat bottom for that race-inspired look, and a red striped at the 12 o'clock position as a visual indicator of the steering wheel position. Professional installation is recommended. Specialty tools are required for installation.